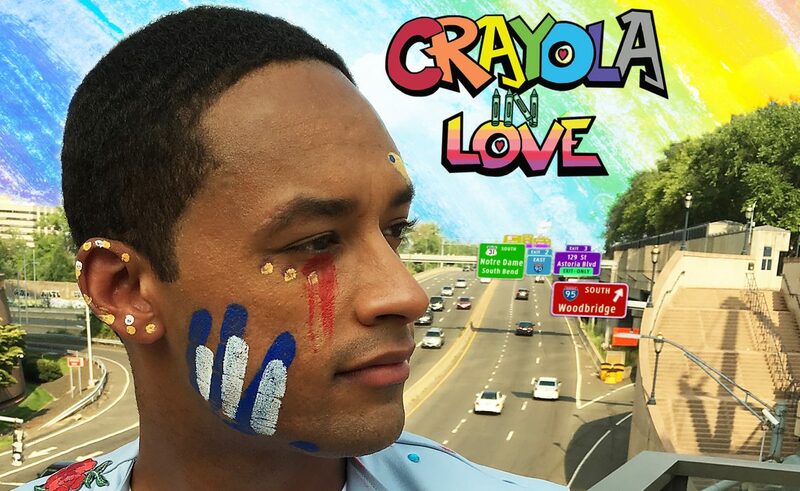 Crayola In Love came about as a kind of catharsis. I was in the midst of figuring out some complicated relationship issues at the time I started writing it in 2016 that forced me to ask myself not WHAT I wanted in life (to be as honest and free in my creativity as an actor/writer, while also figuring out how to do that without NEEDING a side job) but far more importantly how I got to that point and WHY that was what I wanted. I had set the New Years resolution that year to have one of my pieces of original writing performed live in a theatrical setting, and once I realized how passionate the concept of this piece would be for me, I set out to make it happen – before I had written anything other than the opening poem. I joined a goals-oriented producers accountability group and applied to 54 Below for an opportunity to develop it on their stage. With those two things set in place, it forced me to make it happen whether I was ready to or not! Luckily, two of my good friends that I’ve performed within the past were down to help me. David Engelhard, who is a ridiculously talented NYC based Saxophone player and teacher, also has a home studio that he and I would set out 4-hour recording sessions and knock out two demo beats per session that I would then take home and develop the lyrics and concepts for. During that process, anytime I was having a block or needed some inspiration, I would call my friend and award-winning hip-hop artist/musical theatre lyricist and book writer (I know, wild combination right?? 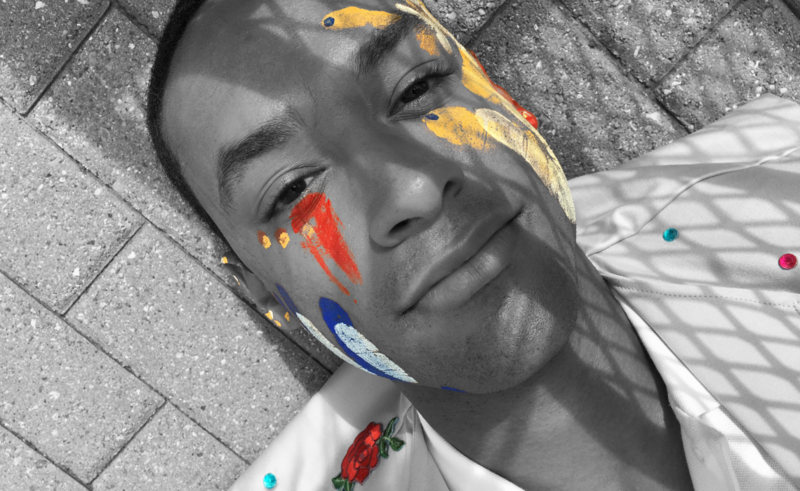 ), Ronvé O’Daniel who collaborated on 3 of the songs with me, and even threw his music production skills down for the beat of the Finale number, “Colorful”. After performing the first third of the show at 54 Below in January 2017, at the same time as the wildly talented Sarah Naughton –whose show Trapped in the Closet is also featured with The Micro-Musical Theatre Show, I held a fundraiser to get some initial capital to slowly finish the music with David in his studio and edit the book of the show. A year later in January 2018, Alton Christensen emailed me saying he had seen the 54 Below presentation and was interested in producing the show for The Micro-Musical Theatre Show… only problem is I was, and still am, on tour with The Lion King as the vocal swing and Mufasa understudy, meaning I was nowhere near NYC to finish the necessary steps to get the show finished. Alton and I kept in touch as I found random studios throughout the country while on tour to finish the demos and record new vocals for the music (shout-out especially to UpState Studios in South Bend, IN). The final touch was flying into NYC on a day off from Lion King in April to finalize the show recordings at Bunker Studios and Sandblast Productions. The crew came through as Nyseli Vega, Sarah Naughton, Rob Brinkmann, and (shocker he does EVERYTHING) Ronvé O’Daniel provided all of the character voices and occasional back-ups vocals. It truly took a village of people to get from the initial concept in August 2016 to the full show you will listen to here at The Micro-Musical Theatre Show. The funny thing is, art always imitates life, because, as you will hear when you listen to Crayola In Love, it has taken a true village of people (and the experiences I had with them) for me to be here sharing this story with you. One of the most important lessons I’ve learned in being bi-racial is that seeing both sides of every story makes every story doubly as interesting. I try to infuse that in every single thing I create.